Chelsea and I had another crafternoon this week! 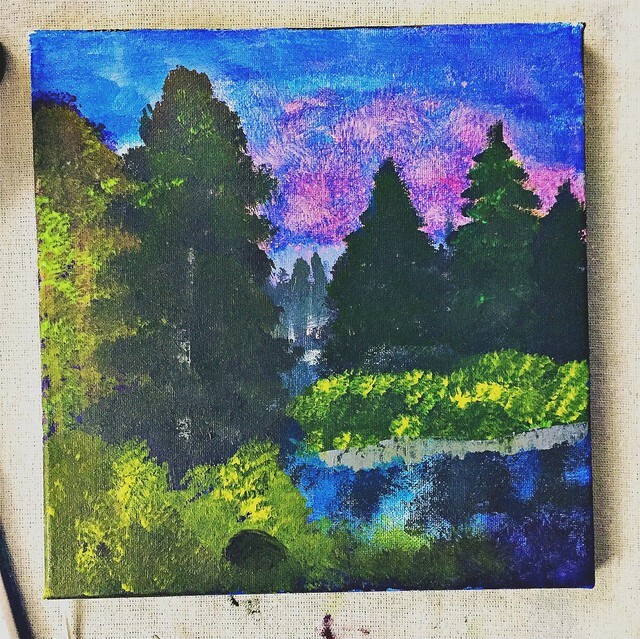 We decided to follow along with a Bob Ross painting tutorial and made some landscapes. 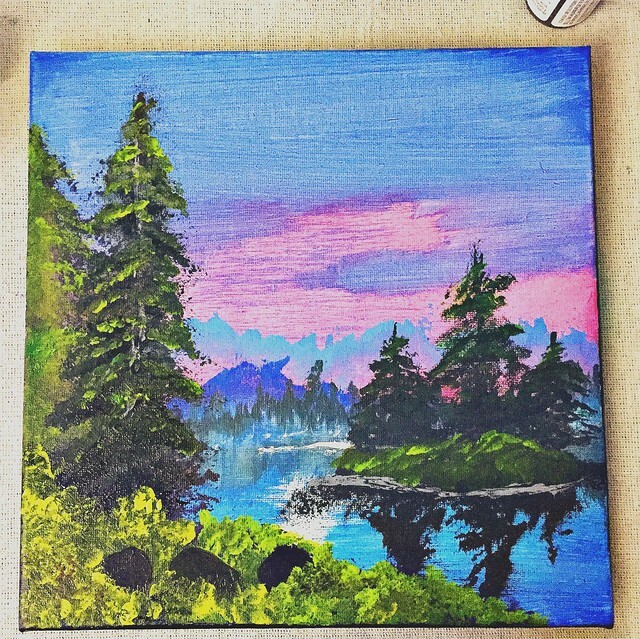 This was our first attempt at this type of painting and we decided to use acrylics instead of oil paints because that is what we had available, but they turned out pretty good. Practice makes better, Bob has thousands of hours practice. thanks! i'm looking forward to trying again!